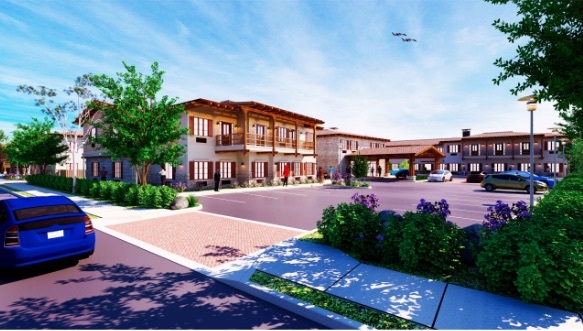 A mixed-use development consisting of: 1) an 80-unit Senior Assisted Living Facility, including a commercial kitchen, dining room, meeting and entertainment spaces, salon and administrative office; and, 2) 27 multi-family residential units. Note: because an application for this development has not yet been filed, project documents are not available. If and when an application is filed, project documents will be posted. Project status updates and documents are provided below. Please note that large documents might not be able to be previewed, but can be viewed by clicking the "download" link.